Directions – PREMIER REALTY INC.
Take south I-95 to Rt 141 North. Immediately on the right, get off Rt 4 (Stanton/ Newport exit). At the bottom of the exit, make left turn onto Rt 4 West. Stay on Rt 4 West for 1.9 miles (at 1.4 miles, you will pass the McDonalds on left). Premier Realty Inc. is on the right hand side (next to the self-service car wash & Redwood Ave). Stay on Rt 7 & Rt 4 East for 2.8 miles, you will pass Happy Harry drug store on the right and Gulf & Exxon gas station on the left. Stay to the right on Rt 4 East and go .4 mile after the Exxon gas station, make left turn by Mike's Auto Sales & Gulf Cumberland Farms. Immediately, make another left onto Rt 4 West ( also know as W. Newport Pike). 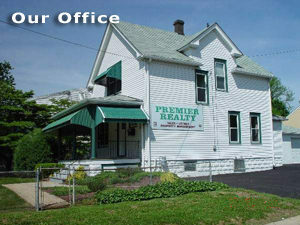 Premier Realty Inc. is located on the third building on right (next to the self service car wash & Redwood Ave). Take Rt 7 South (Limestone Road) and cross Rt 2 (Kirkwood Highway). Stay on Rt 7 South for .9 mile and turn left onto Rt 4 East (by Exxon gas station). Stay on Rt 4 East for .4 mile, make left on Mike's Auto Sales & Gulf Cumberland Farms gas station. Immediately, make another left onto Rt 4 West (also know as W. Newport Pike). Take Rt 2 East to Rt 7 (Limestone Road & Shell gas station). Make right turn onto Rt 7 South.